This story is connected with Monday fast. Monday fast is practiced to propitiate Lord Shiva. It has special significance in the month of Shravan. Meals are taken only once a day, generally after midday. It is believed that Monday fast results in happy family life and acquisition of knowledge. Once upon a time, there was a poor Brahman. He had nothing to sustain his family. One day his wife said to him, “My Lord, can’t you go out for earning money? We are in need of food”. The Brahman said, “It is my pious duty to feed you all. I have no income. I shall go out to make some income. Give me my Iota (brass pot) and string”. The Brahman’s wife gave him his Iota and string and he started on his journey. The Swami said, “The Mantra is Tuesday, Wednesday, Thursday, Friday, Saturday and Sunday, all are related with one or the other deity. Lord Shiva is the deity of Monday. Whosoever knows this secret gets nine treasures of Kubera, the Lord of Wealth, as also all the Riddhis and Siddhis i.e. prosperity, wealth etc.” Having got the Mantra, the old Brahman was happy. His sister’s village was nearby. He thought of visiting her. The sister was surprised to see her brother. She said, “You have given me a pleasant surprise. What brings you here? You have visited my house after a long time”. The Brahman said, “Let us sit down and talk about our family matters”. The sister replied, “I have no spare time to sit and talk. There are a lot of things to be done. I shall borrow handful flour from my neighbor and cook food for you”. The brother said, “Clean and plaster your house with the cow dung first and light the holy lamp. Invite your neighbors. Put on new clothes, I shall tell you a valuable Mantra”. The old lady went from door to door to invite her neighbors. Many women gathered there to listen to the valuable Mantra. The old Brahman said, “Tuesday, Wednesday, Thursday, Friday, Saturday and Sunday are related with one or other deities. Lord Shiva is the deity of Monday. Whosoever knows this secret gets nine treasures of Lord Kubera, the lord of wealth, as also all Riddhis and Siddhis”. To the great surprise of all gathered there, as soon as the Mantra was used, the Brahman’s sister house got filled with a variety of household articles and enormous wealth. It was a pleasant surprise for the Brahman also, because he had tested the Mantra for the first time. The Brahman’s sister was now happy. She said, “Take your meals and have some rest”. The Brahman said, “I will not take my meals in your house because you are younger than me. I shall take my meals at my family priest’s house”. On his way back home, he met his Baniya friend. He repeated the same Mantra there also. The Baniya’s house also got filled with wealth. The Brahman returned to his village. His wife was surprised to see him empty-handed. “You are here after twelve long years and still you have nothing with you”, she said. What is the matter? The Brahman said, “I have learnt a valuable Mantra from a dandi Swami. The Mantra is more valuable than wealth”. The Brahman’s wife got infuriated but the Brahman made her listen to the Mantra. As the Brahman recited the Mantra, by the grace of Lord Shiva, his house got filled with wealth. The Brahman’s wife was surprised to see such an immense wealth. “What shall we do with all this wealth?” she remarked. The Brahman replied, “This wealth should be spent for the good of others. Let wells be dug all along the road-side to facilitate the travelers quench their thirst. Let marriages of all the poor unmarried girls be arranged by us”. This story is connected with Monday fast. Those who observe Monday fast listen to this story in the afternoon after offering prayers to Lord Shiva. Once there lived a wealthy merchant in a city. He always had immense wealth and prosperity. But despite all the worldly possessions, he remained sad because he had no son. He regularly observed Monday fast to have a son. He used to go to the Shiva temple and worshipped Lord Shiva and Goddess Parvati with full faith. Goddess Parvati was pleased at his devotion. She implored Lord Shiva and said, “My Lord, this wealthy merchant is your faithful devotee. He regularly observes Monday fast but still he has no son. Please fulfill his desire”. Hearing the imploring of Parvati, Lord Shiva said, “Let your desire be fulfilled. I grant him a boon. He will be the father of a son, but…” “But what my Lord?” asked Parvati. Lord Shiva said, “but he will live for twelve years only". Fortunately, this wealthy merchant could hear their conversation. As time passed on, the merchant’s wife gave birth to a beautiful son. He celebrated his son’s birth with great pomp and show and distributed food, clothes and money amongst the poor. All prayed for his son’s long and happy life. But the merchant was still sad because he knew that his son would not live beyond twelve years. Yama, the god of Death, spares none. Knowing what the situation was, the merchant started observing the Monday fast with greater zest and there was no let up in the worship of Lord Shiva. He practiced all the rites of worship. At the age of eleven, the merchant’s son looked quite smart and mature. All desired that he should be married to a beautiful girl. The merchant’s wife also wanted her son to be married. She insisted for it again and again. The merchant did not agree to this proposal. He sent for his brother-In-law and said, “Accompany my son to Kashiji. Arrange for his best spiritual knowledge. Take enough money from my treasure. Arrange devotional gatherings on your way to Kashiji at every halt and distribute alms among the beggars”. The merchant’s son started his journey for Kashi with his maternal uncle. They arranged devotional gatherings and distributed clothes at every halting camp. They also arranged best eats for the Brahmans and made enough offerings to them. One day they made a halt at the capital of a king. The king’s daughter’s marriage was held for that day. The marriage party had already reached the city. The bridegroom’s party was terribly disturbed because the bridegroom was blind, of one eye. They were in search of a beautiful boy to replace him. The bridegroom’s father sent his men in search of a beautiful boy. The men spotted the merchant’s son who was camping in an inn with his maternal uncle. The bridegroom’s father was a rich person. He said to the merchant’s maternal uncle, “My prestige is at stake. I need a handsome bridegroom in place of my one-eyed son. I shall give enough wealth if your ward agrees to have a temporary marriage with the king’s daughter. He shall be free immediately after the marriage ceremony is over”. The merchant’s brother-in-law convinced his sister’s son for a temporary marriage. The bride’s party praised their luck when they saw a handsome bridegroom with the marching band at the head of the marriage procession. The merchant’s son and the king’s daughter were finally married off around the holy fire. At the time of departure, the merchant’s son picked his bride’s scarf and wrote, “Now we are husband and wife. I am not the son of a king. I am the son of a rich merchant. I was on way to Kashiji for spiritual studies. Your real bridegroom is blind of one eye”. The bride noticed her bridegroom writing something on the scarf. She could not read his message at that time. When the marriage party was about to depart, the bride read the message. She was shocked to know the reality. She refused to accompany with the one-eyed bridegroom. The marriage party returned without a bride. The merchant’s son reached Kashiji and devoted himself fully to the spiritual studies. His maternal uncle arranged devotional gatherings and gave donations everyday for the well-being of his sister’s son. On the last day of the twelfth year, the merchant’s son felt pain in the chest. His maternal uncle was performing the religious rites as per his routine. As he went inside the room, he found the boy dead. He was full of grief, but kept silent as the Brahmans would not accept food from such a house. With courage, he completed his routine. When his routine was over, he started crying. Many people gathered around him and shared his grief. Fortunately, Lord Shiva and Parvati were also passing by that house. When Parvati heard the cries and beating of breast, her motherly compassion got aroused. She was a mother, after all. Having known the facts, she said to Lord Shiva, “My dear Sir, please ask Yama to return his life. Yama is always at your command. Please do this favor to me. You are the protector of all creatures”. Lord Shiva agreed and sprinkled Ganga water on the dead body. The boy got up as if he was making an excuse for sleep. The spiritual education of the merchant’s son was over. They started their journey homeward. They arranged spiritual discourses and distributed aims among the needy throughout their way. Now, they were back in the city where this boy was married. The king recognized the boy immediately. He took him to his palace with full honor and on an auspicious day, he arranged to happily departure his daughter with adequate dowry. The merchant’s son reached his city along with his bride. His father could not believe it. He was sitting on the roof of a big mansion with his wife, waiting for his son. They had decided that they would not come down until their son supported them himself; otherwise they would commit suicide by jumping down the roof. So the merchant’s son along with his bride went up to the roof. They touched their feet. The merchant and his wife were very happy to see the couple. The Brahman gave no serious thought to her question and abruptly said, “Lord Shiva will win the game”. Incidentally Parvati won the game. She was angry because the Brahman had told a lie. Lord Shiva tried to pacify her, but she cursed the Brahman to turn into a leper. In due course, the Brahman became a leper and spent a miserable life. After some time, a few fairies descended on the earth and pitied the fate of the priest. On asking him, the priest narrated the whole episode. One of the fairies said, “You observe Monday fasts for sixteen weeks without break. On the seventeenth Monday, prepare some holy food or Prasad with flour mixed with ghee and gur. Distribute this prasad among the members of your family and take some yourself. You will be free from this leprosy”. The fairies disappeared and the priest followed the instructions. Soon, he regained his normal health. Once again, Lord Shiva and Parvati visited the same temple. Parvati was surprised to see the priest. He was back at his normal self. She enquired about this feat and the priest narrated the whole story. Parvati was so happy that she, too, decided to observe Monday fasts for sixteen weeks. Incidentally, on the seventeenth Monday, when she broke her fast, her beloved son Kartikeya, who was displeased with her, appeared and said, “O dear mother, what is that power with which you have called me? What is the mystery?” Parvati said, “O my dear son, all this miracle is due to observing Monday fasts for sixteen weeks without interruption”. Kartikeya’s Brahman friend had been in a foreign land for quite some time. Kartikeya said, “I shall observe Monday fasts for sixteen weeks for happy reunion with my friend”. He observed the 16 weeks fasts as per rules and to his great surprise his friend returned hale and hearty. The friend enquired about the miracle and Kartikeya told him the modalities to be observed for Monday fast. The Brahman friend was very curious about his marriage. He decided to observe the Monday fasts for sixteen weeks. On the seventeenth Monday, the Brahman friend went to a city. The ruler of the city decided to marry his daughter to a person on whose neck his well-decorated elephant would put the garland. The Brahman joined the show. Incidentally, the elephant garlanded him. The ruler of the city gave him his daughter and also a lot of money. The couple departed the next day and was back in their home. On the honeymoon night, the bride said, “O my dear, how is it that the elephant ignored all the princes and garlanded you? How did you succeed on the auspicious moments?” The bridegroom said, “I observed fasts on sixteen Mondays. 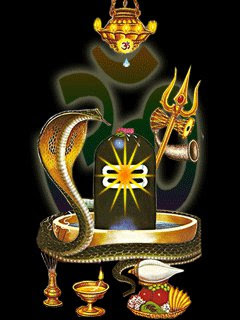 Monday is Lord Shiva’s day. It is due to his blessings that I got a beautiful wife like you. My friend Kartikeya revealed this secret to me”. The bride too decided to observe fasts on sixteen Mondays for a beautiful son, full of knowledge. Her devotion bore fruit and she gave birth to a beautiful son. As the son grew up, he said to his mother, “O my dear mother, what is the mystery behind my birth? Please reveal it to me”. The mother told him how she observed Monday fasts. The son also decided to observe the fasts to gain a kingdom for his parents. Incidentally, an old king’s messengers from a nearby state came there in search of a beautiful and learned bridegroom for the princess. They proposed the princess’s hand for him and he readily agreed. The king expired after sometime and the boy became the king. The newly-made king continued his fasts for the next sixteen Mondays. On the seventeenth Monday, he arranged a large prayer party at a temple. All the arrangements were made well in advance. The king requested the queen to accompany him to the temple for breaking the fast after taking prasad from the priest. The queen refused to go with him. The king had to go alone. The king heard an oracle who echoed, “O king, turn out the queen from the palace or destruction will fall upon you. The king returned to his palace. He summoned a conference of his ministers and told about the oracle. All of them were taken aback, as it was due to that princess that he became the king of the state. They agreed to his proposal only with a heavy heart. The queen was ultimately turned out. The queen left the palace bare footed and in worn-out clothes. She was thirsty and fatigued. She met an old lady who had a load of spinned spindles on her head. She was going to the city. She felt pity on her and asked to help her in selling the yarn because she did not know the art of selling. The queen took that load on her head. Incidentally, a strong wind blew away the spindles which disappeared in the dusty wind. The queen felt sorry and the old lady asked her to go away. The queen went to an oilman’s house and sought shelter. The oilman obliged her, but as she stepped in, all of his oil pots developed cracks and the oil began to flow on the ground. The oilman immediately turned her out. The queen was now disheartened. She went to the bank of a river to quench her thirst. As she touched the water, the water dried up. She then went to a deep jungle and saw a tank of water. As she went down the stairs and touched the crystal dear water, it became muddy. She cursed her fate and put a few drops of the muddy water in her mouth. She was now tired and wanted to take rest under a shady tree. As she went near the tree its leaves began to fall and soon it became leafless. The cowherds saw this incident and told the whole story to the priest of a nearby temple. The priest called for the woman. He was surprised to see that the woman had royal features. He consoled her and provided her with all the facilities. But after some days, he also got fed up with her because whatever the woman touched became impure - may it be milk, food or water. One day, the priest said, “O lady, what curse has fallen upon you? You reveal the mystery”. The woman told him how she rejected a proposal to attend Monday fast prayer. The priest understood the whole thing. He knew it was Shiva’s curse. He said, “O dear lady, you observe fasts on sixteen Mondays and Lord Shiva will absolve you of your sins”. The woman realized her mistake and observed the Monday fasts for sixteen Mondays. On the seventeenth Monday, the king said to himself, “My queen left my palace long ago. Her condition must be very miserable”. He called for his courtiers and ordered them to search out the queen. The courtiers reached the temple where the queen was residing. The priest refused to hand over the queen to them and said, “Let the king himself come to receive her”. The courtiers went to the king and related the whole story. The king was happy to hear the news. He went to the temple and requested the priest to return his queen to him. The king admitted that he deserted the queen to avoid Lord Shiva’s wrath. The priest trusted the king’s words and the queen returned to the palace. She was given a royal welcome. The king distributed money among the needy and arranged food for the hungry. The king and queen now regularly observed fasts on sixteen Mondays each year and lived a very happy life. After their death they found abode in Lord Shiva’s city, Shivapuri. Since, then it is believed that any person, who observes fasts on sixteen Mondays, will get all the pleasures and will enter Shivapuri after his death.